UPDATE: A MACHINE fitter who bashed a bouncer escorting him from a pub has been fined. 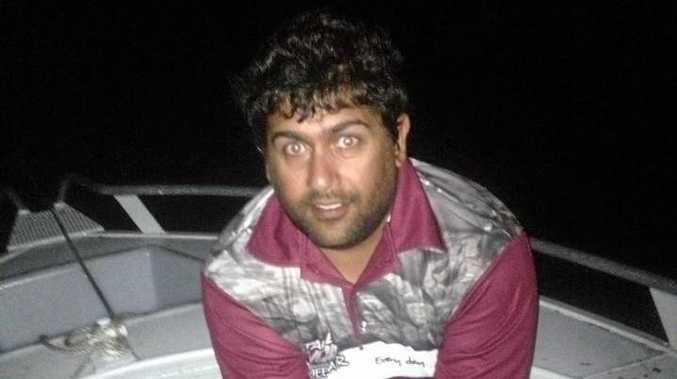 Scott Lesley Williams, 33, appeared in Mackay Magistrates Court on February 23 for his sentence to be finalised. On January 16, Williams pleaded guilty to assault occasioning bodily harm on November 18 last year at the Jolly Collier Hotel in Dysart. Williams headbutted and punched the security guard, who suffered facial injuries. Magistrate Damien Dwyer considered Williams' poor mental health at the time and said the Dysart man was remorseful. Williams was fined $1500 and ordered to pay $1500 restitution to his victim. INITIAL, JANUARY 18: A DRUNK machine fitter launched an unprovoked attack on a bouncer who escorted him from a Dysart pub, headbutting and punching the man. Scott Lesley Williams' ambush on the security guard landed him in Mackay Magistrates Court on Tuesday. He pleaded guilty to assault occasioning bodily harm on November 18 last year at the Jolly Collier Hotel. Williams (pictured) had no criminal record before he pummelled a man simply doing his job, leaving his victim with facial injuries. Prosecutor Sheena Hayes read the facts of the case to Magistrate Damien Dwyer and called for a sentence touching on public and individual deterrence. She said Williams had been drinking at the pub about 12.15am when he had been tapped on the shoulder by the bouncer, who told him he'd had enough to drink and should head home. Williams agreed to "go outside and talk" when he began pushing the bouncer, who shoved Williams outside the pub's door. "When outside, the defendant has thrown a few punches and has then headbutted the victim to the left side of his face," Ms Hayes said. "The defendant has thrown a few more punches ... the defendant has then separated himself from the victim and has left the Jolly Collier Hotel." The victim was taken to Dysart Hospital by paramedics, suffering "swelling and bruising to his left cheek and to the bridge of his nose". "There was also a cut about two centimetres below his left eye. The victim received treatment by way of that cut being glued shut and three sterilised stitches were used to close the cut," Ms Hayes said. Ms Hayes submitted Mr Dwyer should "consider an element of deterrence" over the "alcohol-fuelled violence". Defence solicitor Cassandra Adorni-Braccesi tendered several character references and said her client had been suffering mental health issues, and had been taking medication. She described Williams as "remorseful", noted a lack of a victim impact statement and said the assault was "out of character". Ms Adorni-Braccesi said Williams was willing to pay $1000 compensation and she submitted probation would be an appropriate penalty. Mr Dwyer said the public was "sick and tired of this violence" and if "you go to the pub and you can't control yourself and you turn to this sort of stuff than you can expect a period of imprisonment". He adjourned his decision to late February.